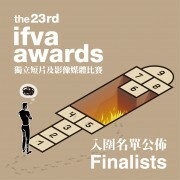 The first round ifva Jury meetings have been finished. All finalist works will contend for the awards and prizes, and also being showcased during “The 23rd ifva Festival” in March 2018. Check out the finalist results now! Reserve tickets now to enjoy 20% off! 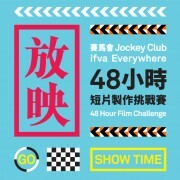 Booking via “Advanced Booking Form” and settling payment on or before 6pm on 1 February 2018 (Thu), you can enjoy 20% discount (HK$52) on each purchase of standard tickets (HK$65) of ifva screening programmes. Tickets are available on a first-come-first-served basis. While films depict city lives, streets record daily routines. Who would have expected that films would serve as the ultimate record for our disappearing cityscape? Three groups of young local creative talents tell three different Hong Kong stories. Join us on 27th Jan (Sat) 7:30pm, under the starlight at Wood Road, witness the unique local landscape composed by the liveliness of ordinary Hong Kong people. Free admission, you are welcome to bring your own sitting mats. “48 Hour Film Challenge” Premiere and Prize Presentation will bring to the audience the original short films with the theme “Critical Moment” created by 12 selected teams in 48 hours. 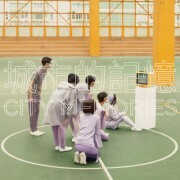 The premiere will be held at the Hong Kong Cultural Centre Piazza on 8 Dec, 7:30pm. Two grand prizes of HK$100,000 will be announced: the Jury Prize, selected by three film professionals, Kwan Pun-leung, Yau Nai-hoi, and Clement Cheng; and the Audience Prize, selected by audience voting. Cast your precious vote! Achieve the impossible!